Is your life getting cramped? Outsource your excess items to us! For interim solutions or as a long-term arrangement – we professionally store your furniture and equipment. You are moving but your new apartment is too small for all of your furniture? Or you are moving abroad and do not want to take all your furniture with you? We would be happy to store for you. It makes no difference whether you want your furniture to be stored for a week, a month or years – you determine the storing period. 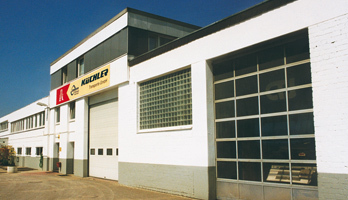 Our furniture warehouse in Dormagen near Duesseldorf offers enough room for safely storing your removal goods. Just drop by and have a look! Besides our furniture warehouse, we can also offer to store your goods in containers that are sealed for the storage period and kept guarded on our premises.